"How much better is WETTER weather!" 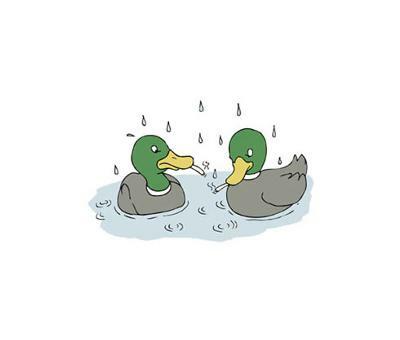 say the smoking ducks (n) enjoying the rain. medical condition caused by developing malaria while in Africa, was only able to play to his potential when it was raining. In the final against Hungary, it rained, so West Germany went on to win! Join in and write your own page! It's easy to do. How? Simply click here to return to German Memory Trigger.